Alison Brooks teamed up with furniture designer Felix de Pass to create a stool for the kitchen, as a part of a series of collaborations curated by Sir Terrance Conran for the American Hardwood Export Council, manufactured by Benchmark Furniture and exhibited at the V&A as part of 2014 London Design Festival. The exhibition later travelled to Barcelona and Cologne. Alongside Alison Brooks, the other mentors for up-and-coming designers that Terence Conran selected were Paul Smith, Norman Foster, Amanda Levete, John Pawson, Zaha Hadid, Alex de Rijke, Richard and Ab Rogers, and Allen Jones. 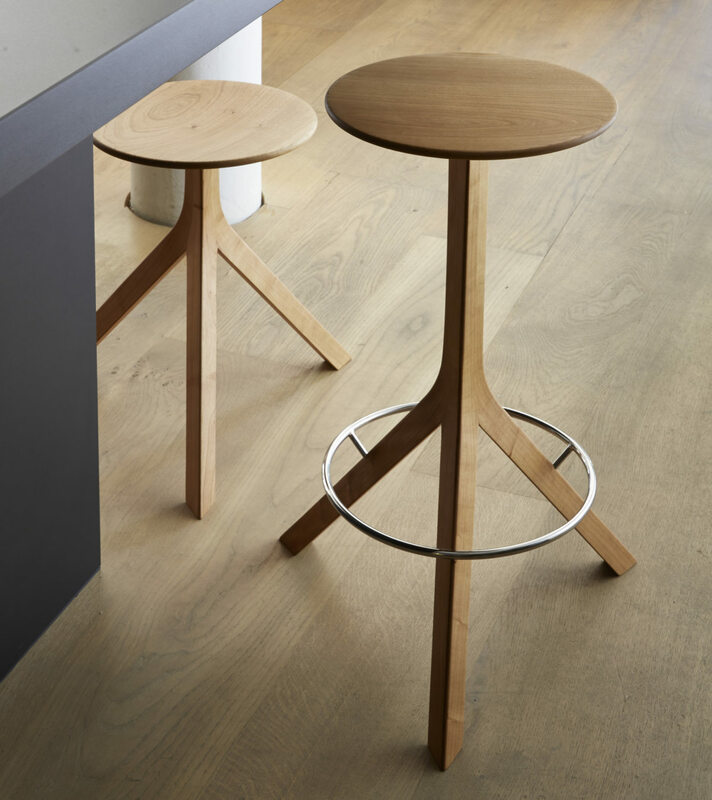 The stool that sits at a kitchen counter is the most popular seat in many homes, offering a dynamic way of sitting – somewhere to eat or read a paper or work on your laptop. 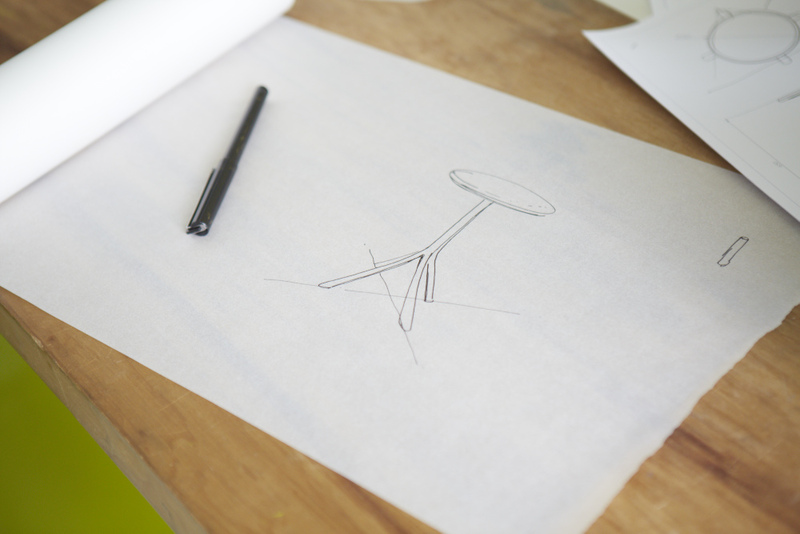 There’s a sense of transience to sitting on a stool; you don’t have to commit to sitting down. 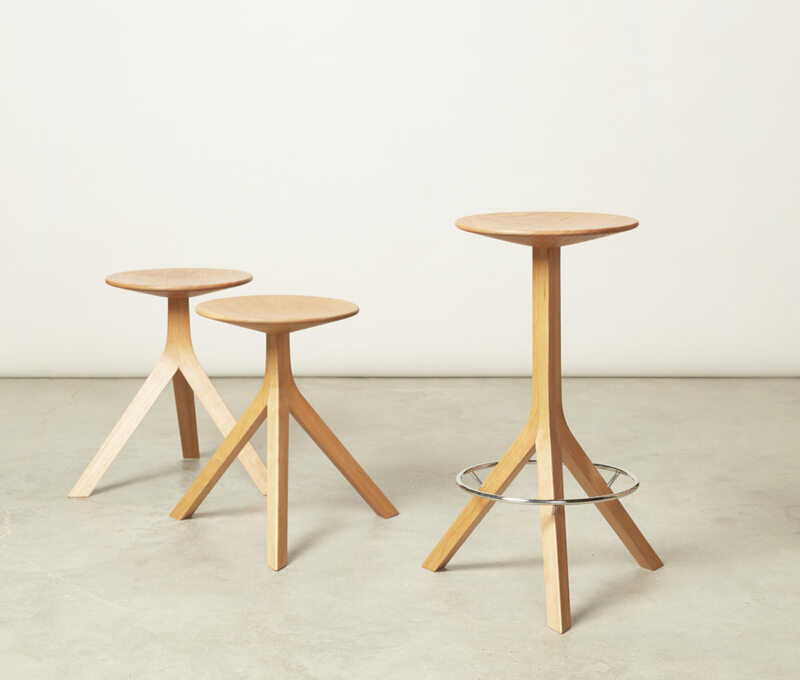 Brooks and De Pass’s kitchen stool design in solid American Cherry is intended to offer a visual lightness, simplicity and ease of use for any context. 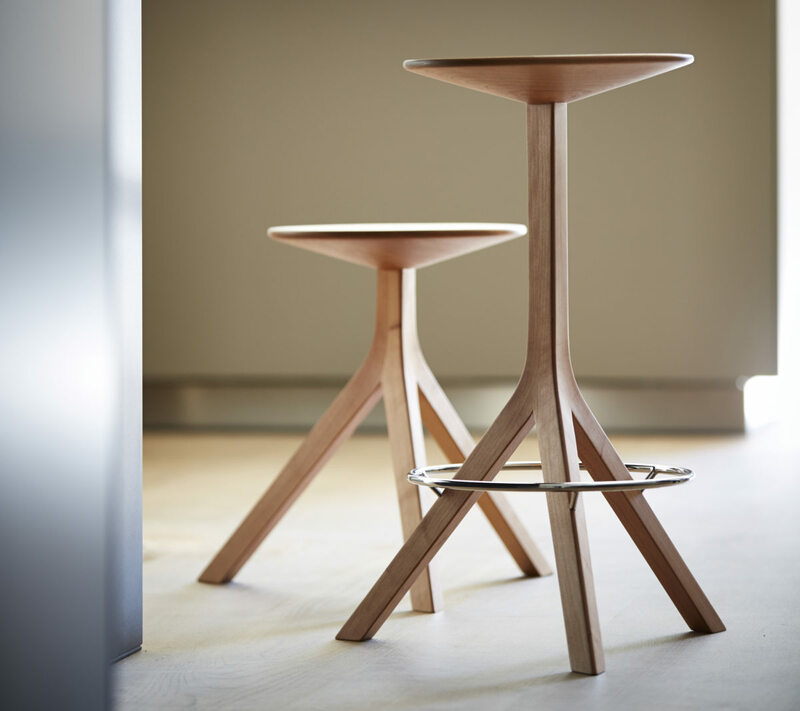 American cherry is a positive environmental choice for the stool, being a highly desirable timber which is readily available in the US forest but which has been under-utilised in recent years. The stool is carbon neutral on a cradle to grave basis. Very few non-wood materials are used and the carbon emissions from supply of wood are offset by energy recovery from wood waste which substitutes for fossil fuels.